Yummy with all that apple flavour in this bread. Really like it a lot! 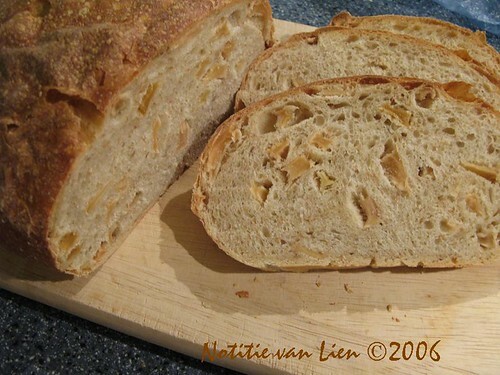 That looks great I am going to try for a lighter looking bread the next time I make this, so it comes out more like yours.... my oven dried apples were very dark. Wonderful! I love the big chunks of apple in there!